Outdoor Power Equipments are widely used in foreign countries like America. They are used for professional as well as commercial purposes thus the demand for power equipment is quite high in the foreign countries. Gardening tools like electric lawn mower, Lawn tractor, snow blower etc. are very used often . Thus, spare part purchases are also too frequent. In Outdoor Power Equipment Industry, OEMs earn two-way profit one from the sale of equipment and other from aftermarket sales. Just like other machines, outdoor power equipment also comprises of numerous spare parts. In case of damage or fault in the equipment, replacing the spare part proves to be cost effective. Therefore, aftermarket sales is one of the major profit centers for OEMs. New technology keeps on approaching every now and then. Thus, outdoor power equipment are available in multiple models with some advanced and unique features. Every new model has some specific spare parts and updating these new spare parts to manual catalog requires both cost and time. Intellinet Software helps to minimize this cost and time both. In order to meet different requirements every outdoor equipment comes with multiple blades, accessories, power back-ups etc. Keeping a record of all of these accessories in a manual catalog is a challenging as well as time-consuming task. Thus, here crops up the need for an easy and efficient part management system and this requirement is fulfilled by Outdoor Power Equipment Catalog software. dealers, as well as users, hardly have detailed knowledge of the spare parts and the accessories used in the power equipment. Thus, there is a requirement of an automated system to easily identify the part on the basis of equipment model or design and our software completely fulfills this requirement. 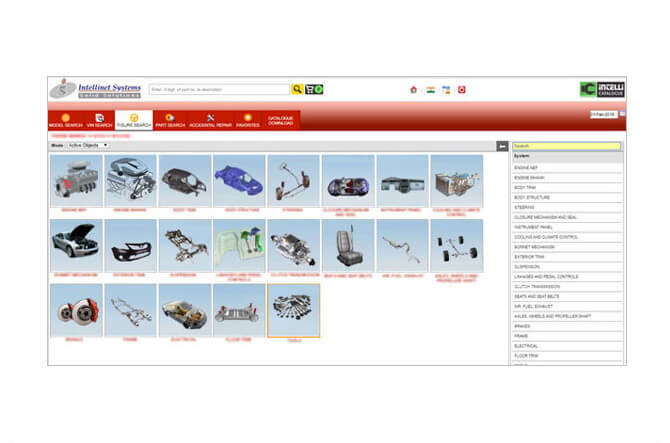 with our software, updating new spare parts to the catalogue is just a matter of few clicks. You just need to feed the information in the database and your electronic catalog will be updated in just a few clicks. This saves the cost as well as the time of reprinting and redistribution. every equipment is an assembly of hundreds of spare parts and every company deals in hundreds of equipment. Identifying the accurate part is really a hard task but with Outdoor Power Equipment Catalog Software, you can easily order the accurate part making use of assembly drawings, part number etc. at times few spare parts are not available with the dealer, at that point, people search for alternate spare parts. With the manual catalog, finding the alternate part is a challenging task as there is no specific information available for alternatives. However, our electronic spare part catalogue software showcases all the alternative parts available for a particular spare part. in order to cater different needs, multiple accessories are available for single power equipment but every accessory might not fit the model of your power equipment. Our software also helps to find the accessory which is perfect for your power equipment model. 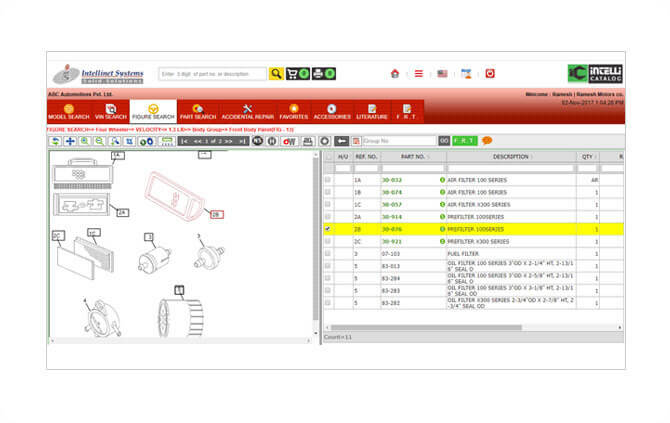 Our electronic spare part catalog software allows you to place your order in just few clicks. Unlike manual process, you just have to select the spare part and follow the general ordering mechanism. This also minimizes the probability of errors and incorrect orders. Intellinet's Outdoor Power Equipment Catalogue Software serves a long way in ordering the accurate spare parts and accessories. This, in turn, helps in boosting aftermarket sales of OEMs in Outdoor Power Equipment Industry.